While you are undoubtedly familiar with methods of digital communication such as email, instant messaging, voice over IP and video calls, the meaning of “unified communications” may not be immediately obvious to you. 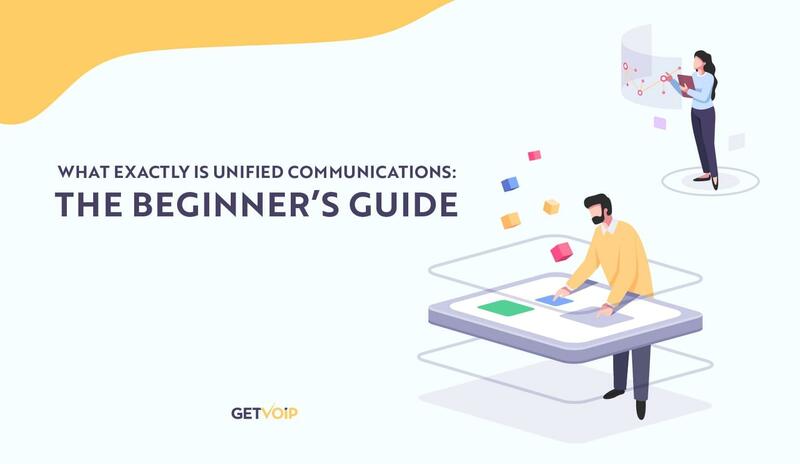 Simply put, unified communications or “UC” is a phrase used to describe platforms that attempt to bundle all types of digital communication into a single package. The most recognizable example of this might be… not Slack, apparently :). Along with serving as a single suite of tools for the ways that people typically collaborate on projects such as file sharing, instant messaging, SMS texting, emailing, voice calls, video conferencing and screen sharing, advanced capabilities are rapidly being introduced such as speech recognition as well as on-the-fly translations and transcriptions. In addition to including many modes of communication, it’s also common for UC applications to have customization options through API-based add-ons that allow for interoperability with other popular platforms and services. For instance, a specific UC solution might let you incorporate activity from external locations such as Microsoft Office or G Suite. It’s likewise typical for UC platforms to allow for the integration of customer relationship management (CRM) software such as Salesforce or to enable features geared toward specific industries or departments such as contact centers. Extensibility is a significant part of the appeal that UC services offer businesses. UC service providers get to offer more diverse software suites that appeal to a wider potential customer base, as opposed to simply marketing a standalone solution for voice over IP or instant messaging. Businesses “unify” their communications, gaining a more affordable, flexible and extensible platform, while cloud-based configurations offload the responsibilities of in-house technology maintenance. Workers are supplied with a system that is more capable and easier to use, requiring only one program instead of having to toggle between a bunch of separate applications that serve different purposes. 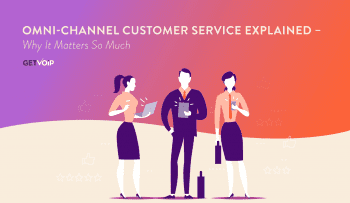 Customers receive better service as their history is more centralized while they have more ways to communicate with representatives and reps have more options at their disposal for serving customer needs. Unified communications is increasingly viewed as a must-have among organizations spanning all industries and headcounts. It may be difficult to calculate the operational efficiencies derived from consolidating all of your telecommunication, messaging and collaboration tools into a single application, but it’s widely acknowledged as a win-win for both companies and their workers. The most immediate perk for businesses may be the reduced cost and hassle of having to maintain various single-purpose applications for internal communications, and ultimately the hassle of having to host these services on-premises. While options for traditional on-site UC application servers are available, it’s more common for companies to outsource this burden, relying on the hosting services of UC providers and connecting to communications software over the Internet instead of running local servers out of their facilities. This is particularly true for small and medium-sized businesses, though many large enterprise outfits are also moving toward cloud-based solutions. Off-site cloud-based services are generally attractive because they eliminate the need for on-site IT staff who handle system maintenance, network deployments and tech support. It’s cheaper to offload these tasks onto a UC service provider instead of hiring an in-house team who is dedicated to managing local infrastructure, not to mention the space requirements for storing servers and other equipment used for communications. Along with minimizing ongoing IT expenses, it requires less upfront investment to enlist the help of cloud-based UC providers as your business won’t have to foot the bill for the infrastructure involved. This also makes cloud-based UC services easier and faster to deploy along with being more flexible and scalable – again, there’s no need to implement new servers etc. while the cloud solution scales with the size of your business. It’s typical for UC providers to charge based on the number of user accounts required. With the convergence of all your communications in a single application, there’s also the fact that your company will reduce the need to pay for separate software licenses as these various tools are bundled into one service. 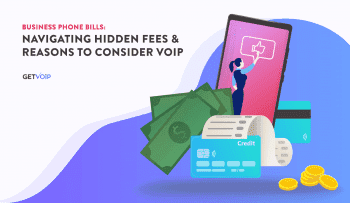 And of course, this cost reduction is stacked on top of the savings that you may be able to anticipate from equipping your workers with VoIP communications versus having their calls made over conventional landlines. By providing many options for communicating in one place, UC software allows workers to exchange information in whatever way best suits their needs at the moment. This also eliminates the need for them to learn and toggle between multiple applications, simplifying their workflow, improving response times, and ideally boosting collaboration and productivity. 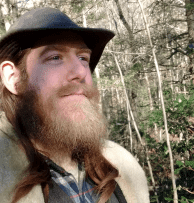 When something is simple to use, people are more likely to get involved and in this case, that means minimizing worker downtime and maximizing engagement. UC platforms help remove the barriers of communicating and collaborating at a distance, which may be as simple as two individuals working at the opposite end of a building, or providing a central, streamlined point of contact between two departments that might not have previously interacted with one another. 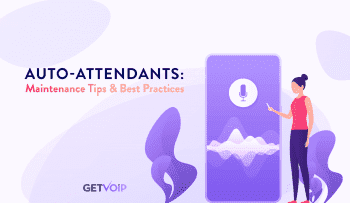 These applications are also helpful during after-hours exchanges away from the office and are particularly relevant with the rising popularity of remote work – something that GetVoIP has recently begun exploring. Besides employees who participate in the workplace with mobile devices while traveling, there is an increasing number of people who contribute entirely away from their central headquarters. It’s also becoming more frequent to find businesses such as marketing agencies or digital production outlets that operate with workers who are distributed around the globe, having no base of operations except the digital portals that help them overcome the oceans separating each other. Most UC solutions offer many ways to access the service, such as separate applications for Windows, Mac OS and Linux, iOS and Android apps, as well as website portals that provide the same degree of functionality. Being that they’re specialized around cloud-based delivery, these platforms are generally more accessible through various ways that may not have been possible with your company’s previous approach to internal communications. UC platforms keep everyone on the same page, no matter where they are or what device they’re on. It’s hard to put a price on enabling real-time communications, displaying status presences and creating options for spontaneous collaboration across your entire company. What Are UcaaS, UCCaaS & CPaaS? For as confusing as these acronyms might seem, there isn’t a ton more to know about any of these terms than we’ve already discussed above about unified communications, though there are some points worth clarifying. These phrases – unified communications / unified communications and collaboration – are sometimes used interchangeably, seeing as the underlying goal of any UC offering is to enable collaboration between people. However, UCCaaS offerings may include more collaboration-oriented features such as a virtual whiteboard. The “as a Service” (aaS) part is perhaps more noteworthy as this implies that the platform is subscription and cloud-based, meaning the product is delivered through a client application or website that connects over the Internet instead of being hosted on your company’s local infrastructure. While on-premises and hybrid options exist and may appeal to larger enterprises, Gartner’s 2018 UCaaS Magic Quadrant report indicated that 90% of IT executives will stop investing in new on-premises UC infrastructure by 2021, instead favoring cloud solutions. By comparison, that figure was around 50% in 2018. CPaaS stands for “Communications Platform as a Service” and this phrase indicates that a service provider will supply your company with the framework needed for building and implementing individually customized real-time communications tools instead of paying for the whole UC platform as a package. Whereas UCaaS software bundles a bunch of communications tools into a single subscription offering, CPaaS handles these features in an à la carte fashion that is more flexible and allows companies to deploy specific tools that can be incorporated into other platforms through APIs. Given that interoperability with third-party platforms via API add-ons is a huge focus for UC developers, this lends itself toward simply offering piecemeal services and so CPaaS is likely to be an increasing point of differentiation for UC providers as the industry moves forward. Supplying your business with a unified communications and collaboration platform is increasingly viewed as a necessity, whether for small outfits with less than ten people or large enterprises employing tens of thousands. Considering this rapid adoption of UC platforms, VoIP providers have begun transitioning away from simply offering voice services and are repositioning themselves to be a more universally capable solution for business communications. According to stats by MarketsAndMarkets, the worldwide UCaaS market size is expected to reach $28.69 billion by 2021, up from $17.35 billion in 2016, while stats from ResearchAndMarkets indicate that the global UC market size will expand to $143.49 billion by 2024. Having access to a diverse suite of tools that allows people to transition between various methods of communication in the same application session has broad-sweeping implications and use cases not only for conventional business teams but also for sectors such as education (think live teaching sessions) and healthcare (live consultations). This surging interest in UC coincides with the convergence of various adjacent technologies such as artificial intelligence, and with employment trends that are seeing greater numbers of people bringing their own devices to work as well as those who are working away from their office. IDC estimates that nearly three quarters of the US workforce (72.3%) will be comprised of mobile workers by 2020. While the coming roll-out of 5G networks are expected to enhance real-time communications with lower latency connections, faster upload speeds and edge compute infrastructure that will enable new end-point capabilities, AI is poised to simplify some of the more complicated elements of UC interfaces by enabling virtual assistant functionality such as you might experience with Siri or Alexa. One of the big challenges with developing a UC platform is actually incorporating all of their features in a way that is intuitive for people to use. The software can quickly become overwhelming with a smorgasbord of options and AI integrations are expected to alleviate some of this issue by allowing people to interact with the application through voice commands, ideally reducing some of the friction when it comes to finding certain features or performing actions like initiating a conference call. Virtual assistant capabilities are early in their design and will gradually see broader use cases, but it’s thought that they will further streamline workflows and reduce pain points. In the same way that UC simplified communications by moving all modes of digital collaboration to a single application, AI integrations are expected to bring that simplicity another step forward by hiding the countless layers of technology from users and helping them stay focused on their workflow.